Goodreads: LILY MARRIED THE MAN OF HER DREAMS. THEN SHE WOKE UP. Kritters Thoughts: What a cute book! Lily grew up with a mother and grandmother who thought that a family curse ruined each of their relationships with men. After they went through their fair share of men, they decided that raising Lily to avoid relationships would be best for her. I think that since they raised her that way, she wanted even more to find the man of her dreams. Lily finds the man that she wants to marry in Gogo (I know why would you name a character Gogo?). Even after all the warning from her family she runs off and elopes. I thought it was endearing to still believe in love even though she didn't have an example to live up to. 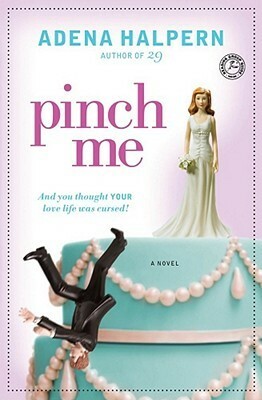 The curse really does exist, which gives this very chick lit read a little twist. With an ease to its reading, this book was a quick read that would be perfect for a week at the beach. I thought it was a great take on a chick lit classic storyline. It made the story feel fresh and new. I would recommend this book to all the fans of the chick lit genre.